Located on the 13th Fairway of Harbour Town Golf Links, this 3 bedroom, 2.5 bathrooms home with a screened in private pool is the perfect spot! 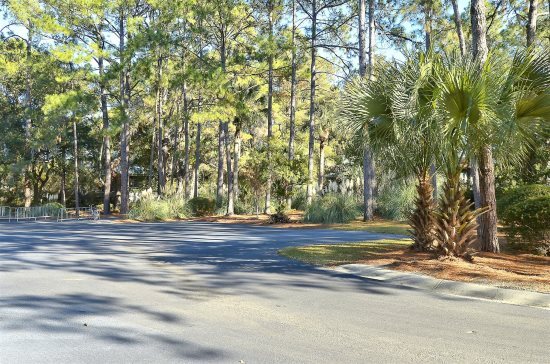 Located on the 13th Fairway of Harbour Town Golf Links, offering an expansive backyard with a screened in pool, just 1.5 miles to the ocean, and located in the historic Sea Pine Plantation, this 3 bedroom, 2.5 bathrooms home will be the perfect getaway spot for your family’s next vacation. It even allows you to bring two of your furry friends along. The cozy and inviting entry foyer leads directly into the peaceful sitting room. Sit in one of the two love seats in this room and snuggle with a book or grab a yoga mat and spend some quiet time meditating. Adjacent to the sitting room is the formal dining room featuring a rectangular, glass tabletop, pine finished table along with eight skillfully craved, matching chairs. The open, traditional kitchen offers soft blue walls, all white appliances, plenteous cabinet space, and spacious countertops; add the landscape views and dinner prepping will be even more enjoyable. The breakfast bar is supported by two sleek bar chairs, so be sure to leave cookies for the kids to nibble on while they plan the day’s itinerary. This home has its own café, also known as the breakfast nook and it offer a great place to enjoy coffee and entertain interesting conversations; bay windows will beckon nature’s own lighting to brighten the room. 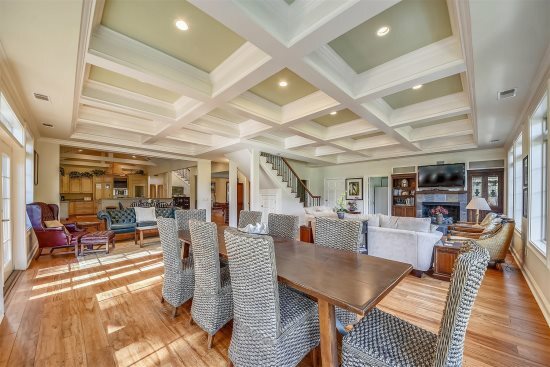 The golf course views are visible upon entering the spacious living room. 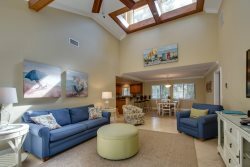 High cathedral ceilings and touches of blues, whites, and yellows can be found here along with two comfy couches, a snug armchair, a flat screen TV, a DVD, and plenty of books to keep you entertained. Step outside on to the screened pool deck which offers seating for eight along with the pool. The backyard is perfect for the kids to play a game of football. The view from the pool deck is sure to tune out the hustle and bustle of everyday life and replace it with tranquility. The master bedroom is home to a king-size bed and is decorated in blues and browns. A flat screened television will provide entertainment and French doors lead to the pool deck, so on a warm summer night, be sure to take a dip in the pool while star gazing into the galaxy. This bedroom also offers its own private bathroom with a shower/ tub combination. The additional two bedrooms are also decorated in blue tones and houses a queen-size bed and two twin-size beds respectively. They both have flat screen TVs and bay windows to radiate the sun rays and add to the room’s ambiance; both bedrooms share a bathroom. A full size washer and dryer is provided for your laundry needs. Amazing golf course views, a picturesque backyard, a screened in pool makes this home one of a kind and the ideal pick for your next trip. Happy Vacationing! Loved everything about our stay - the home was so very comfortable - so appreciated that it was dog-friendly - that's paramount for us.